What’s the Deal with All These Painted Rocks? Have you heard about painted rocks hiding all over the U.S.? People are painting rocks and hiding them in public places so strangers can find them. The idea is to brighten someone’s day and bring a smile to their face. People are painting all kinds of designs and pictures on rocks or even painting simple messages, like Love, Peace, or Happiness, in order to spread joy and kindness to others. 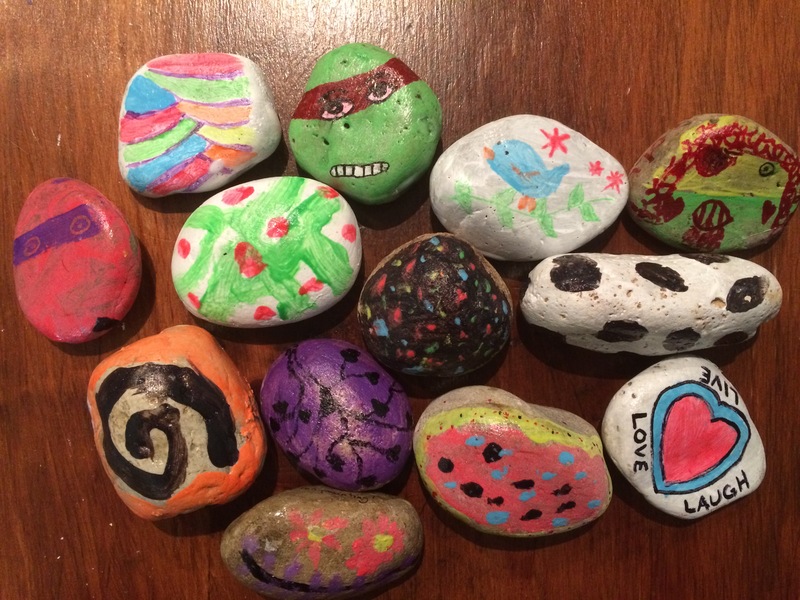 Searching for these painted rocks is like a real-life treasure hunt for kids (and adults!) that gets them excited to be outdoors. Families are having fun searching for painted rocks in parks, on trails, beaches, sidewalks, and anywhere else you can think to hide them. It’s a great way to explore new parts of the community and it gives families a reason to get out and enjoy a new park or trail. The painted rock craze is also bringing communities together. People are joining local painted rock groups on Facebook. These groups allow people to leave clues about where to find rocks or post exactly where they’ve found rocks, so others can find them and re-hide them somewhere else. Here at Niagara Families, we decided to jump on the bandwagon and create our own Facebook group for painting rocks! It’s our hope that others will join us and hide their own rocks all over the Niagara Region, here in Ontario. My kids and I have spent hours and hours (not an exaggeration!) painting rocks this summer and we’ve been hiding them around town. So far, we’ve visited four new parks and we’re just getting started! My kids are so excited at the thought of other kids finding the rocks they’ve hidden and how happy it will make them. We would love it if everyone would join us! Paint some rocks and get out into the community to hide them. Have fun as a family painting, hiding, and searching for rocks! If you’d like to join in on the fun, find us on Facebook – Niagara Families’ Rocks – and post pictures of your beautiful artwork. We’d love to see what you create and what you find!